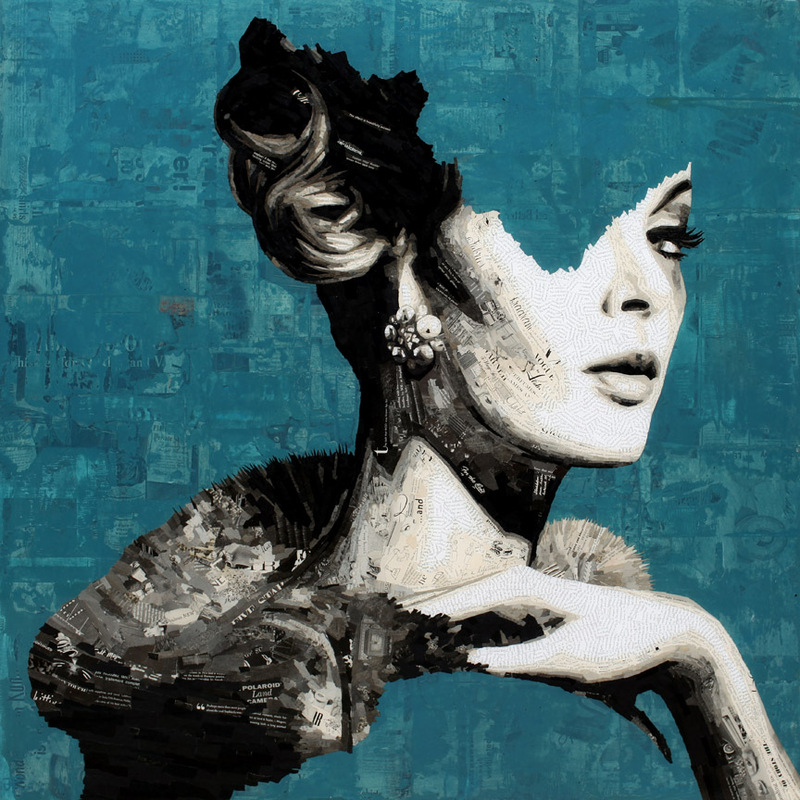 Santa Monica gallery Axiom Contemporary is featuring a collection of vintage fashion collage pieces at the Fall AAF London this weekend, October 19-22. Please visit the fair website for more details. Santa Monica gallery Axiom Contemporary will be showing a collection of nature and fashion-related collages at this year's Art Aspen, held August 4-6. 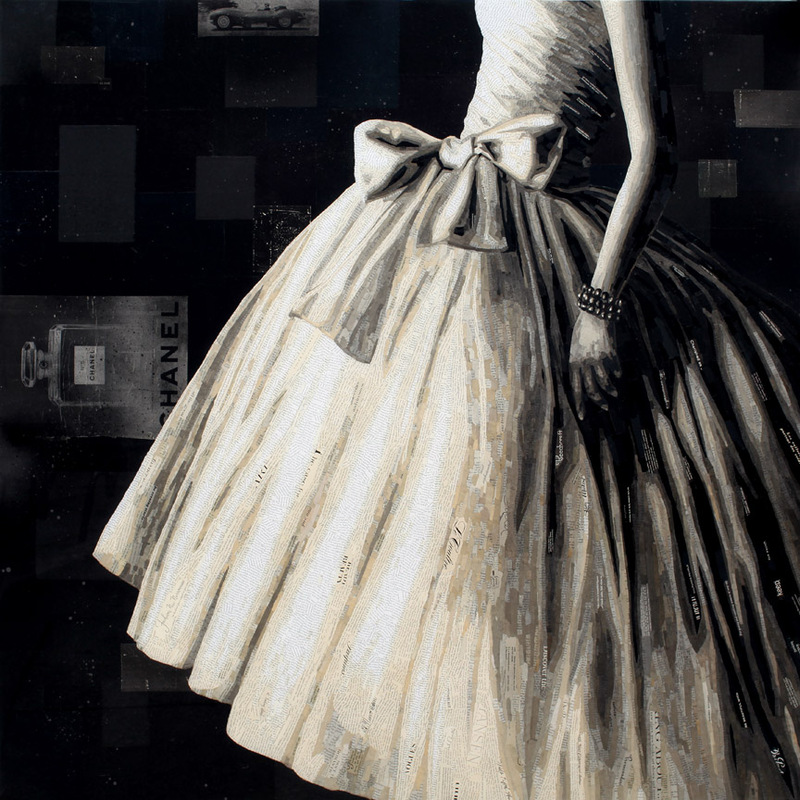 Now the Only collage, acrylic and resin on panel, 70" x 60"
Axiom Contemporary is featuring a collection of vintage fashion collages at Market Art + Design in Bridgehampton this weekend. collage and resin on panel, 60" x 60"
Axiom Contemporary will be featuring a new collection of fashion collages at AAF Hong Kong, May 19-21. More details about the show on the event website. Santa Monica gallery Axiom Contemporary will be showing new collage work at the upcoming SCOPE art fair in New York March 2-5. Visit the event website for more details. Truth is Beauty collage, acrylic & resin on panel, 60"x60"
Axiom Contemporary is featuring a collection of new work at this year's SCOPE art fair during Art Basel in Miami, including a large-scale bear collage made from vintage 1950s & 60s LIFE Magazine advertising and imagery. 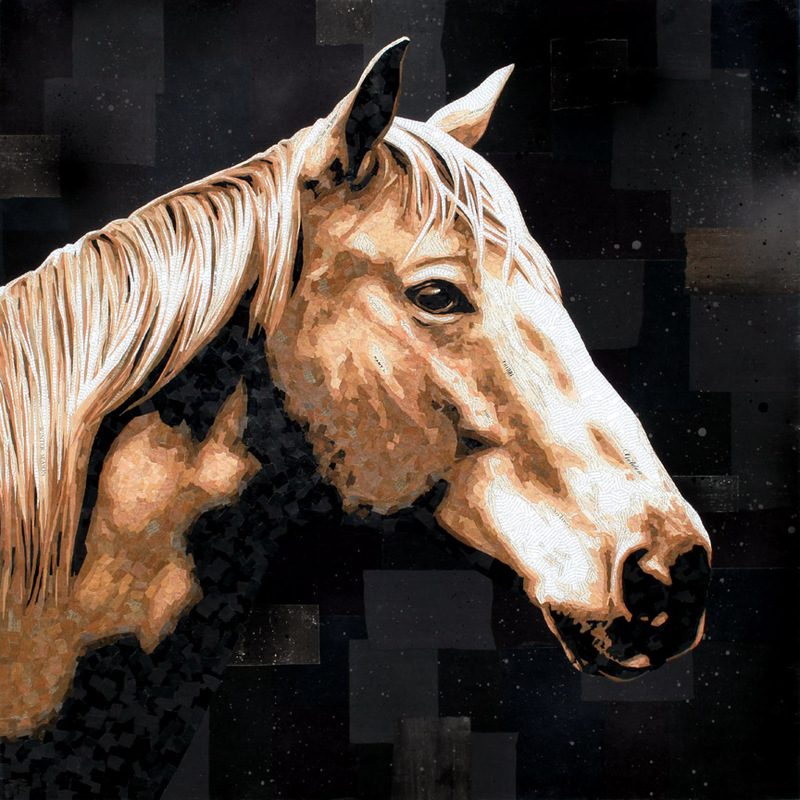 New & Improved, collage, acrylic & resin on panel, 72"x60"
The Light-Struck, collage, acrylic & resin on panel, 60"x60"
The Fascinating, collage, acrylic & resin on panel, 60"x60"
Gold Gallery in Boston will be hosting a two-person show, Encapsulated, featuring a new collection of winter-themed torn paper collages, along with work by photographer and mixed media artist Christine Flynn. The show opens October 7. Please visit the gallery website for more details. collage and resin on panel, 48"x60"
collage, acrylic and resin on panel, 32"x74"
collage, acrylic and resin on panel, 36"x54"
collage, acrylic and resin on panel, 48"x60"
collage and resin on panel, 48"x72"
Santa Monica gallery Axiom Contemporary will be showing a collection of new work this summer at the upcoming Art Hamptons (June 23-26) and Art Market Hamptons (July 7-10). More details available on the gallery & event websites. Maintain Glory made from navigational maps & vintage books with acrylic & resin on panel, 60"x70"
SF gallery Simon Breitbard Fine Arts will be featuring a selection of newly completed vintage fashion collages at Art Market in San Francisco, running April 27-May 1. Visit the event website for more details. Axiom Contemporary will be featuring a collection of new collage pieces at the upcoming AAF show in New York running March 30-April 3. More details on the fair website. Axiom Contemporary will be showing two new collage skull pieces at the upcoming SCOPE Art Fair in New York running March 3-6. More details about the show on the fair website. For Those Who Know 60"x48"
The year has started off as a busy one, with a successful LA Art Show last weekend, where Axiom Contemporary featured new work from the CMYK collection. And then next week, they will also have pieces at the Palm Springs Fine Art Fair, running February 11-14. Also that weekend, there will be a showcase of new work from the nature series at Whistler Contemporary in Canada. More information about the galleries and shows on their websites. 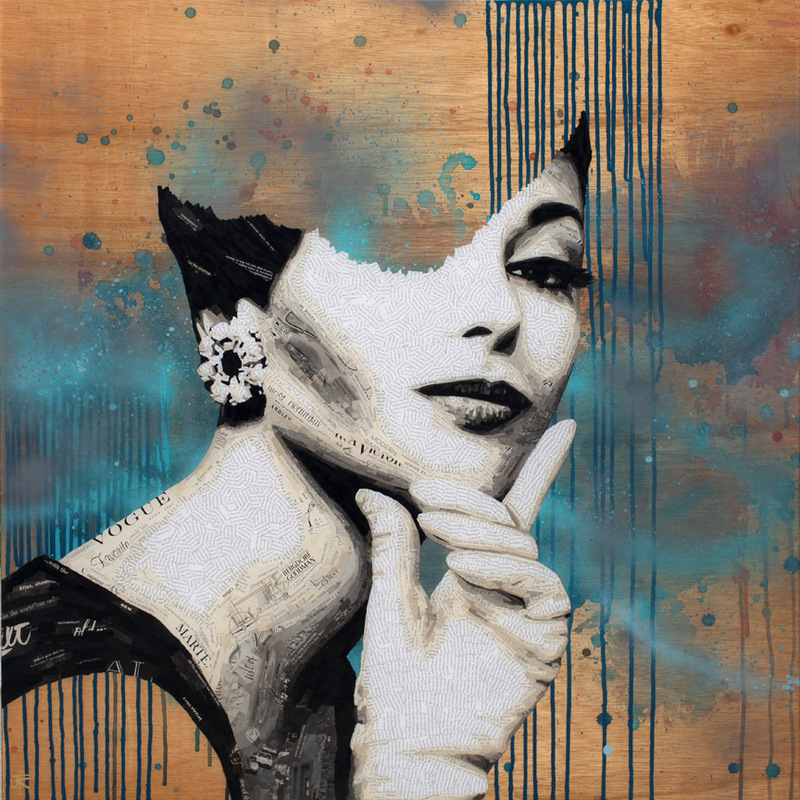 Axiom Contemporary will be showing a new collection of collages for the SCOPE art fair in Miami during Art Basel. More details about the show on the fair website. Santa Monica gallery Axiom Contemporary will be showing a new collection from the CMYK series at the upcoming art fair in Singapore in November. More details about the show on the fair website. 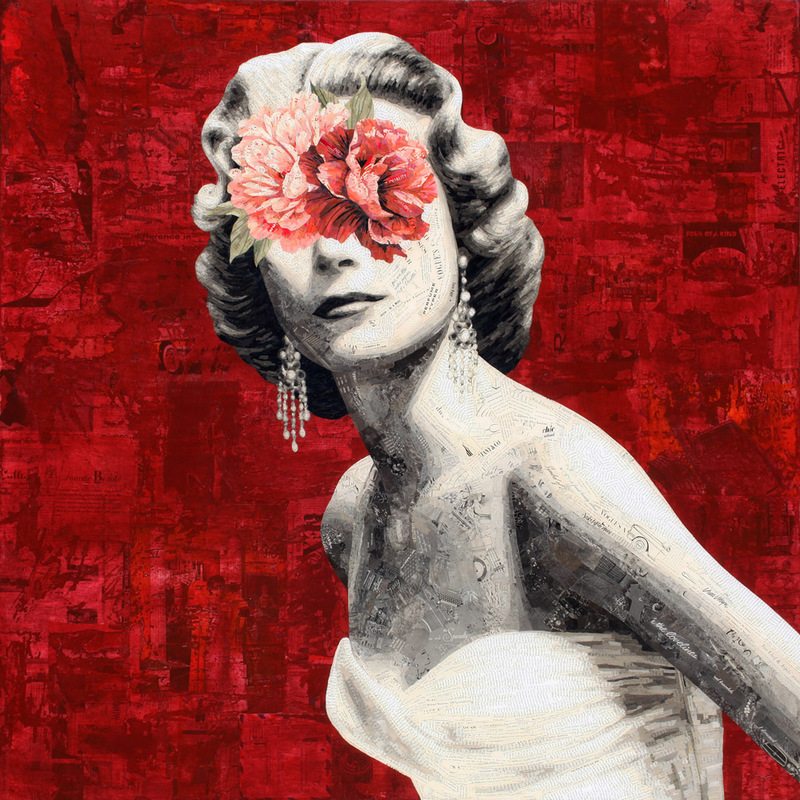 San Francisco gallery Stephanie Breitbard Fine Arts will be featuring a new collection of vintage fashion collages at the Art Silicon Valley fair this weekend. Please visit the fair website for more details on the show. Axiom Contemporary with feature a new collection of nine pieces from the more colorful, deconstructed CMYK series at this year's Art Hamptons. The show runs July 2-5; more information is available on the fair website. 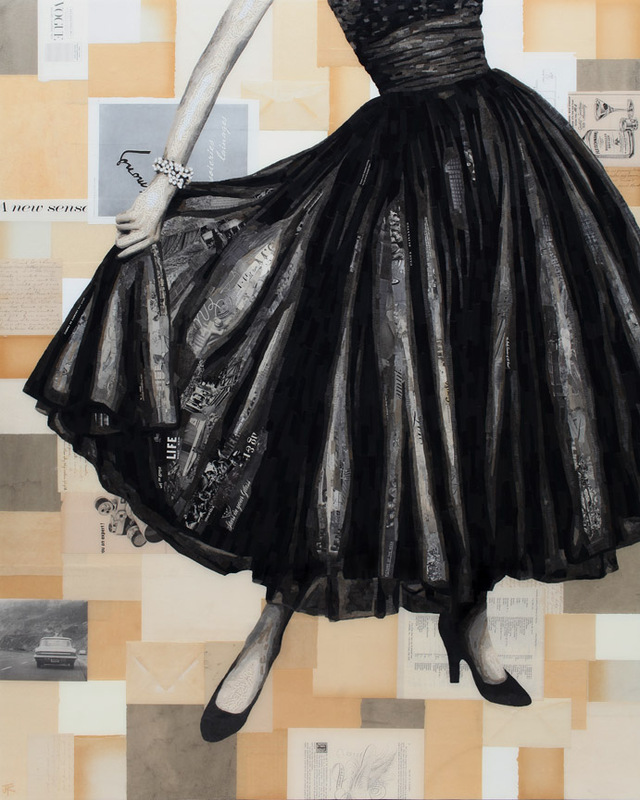 Bay Area gallery Stephanie Breitbard Fine Arts is featuring a selection of new vintage fashion collages at this weekend's Art Market in San Francisco. Visit the event website for more details. 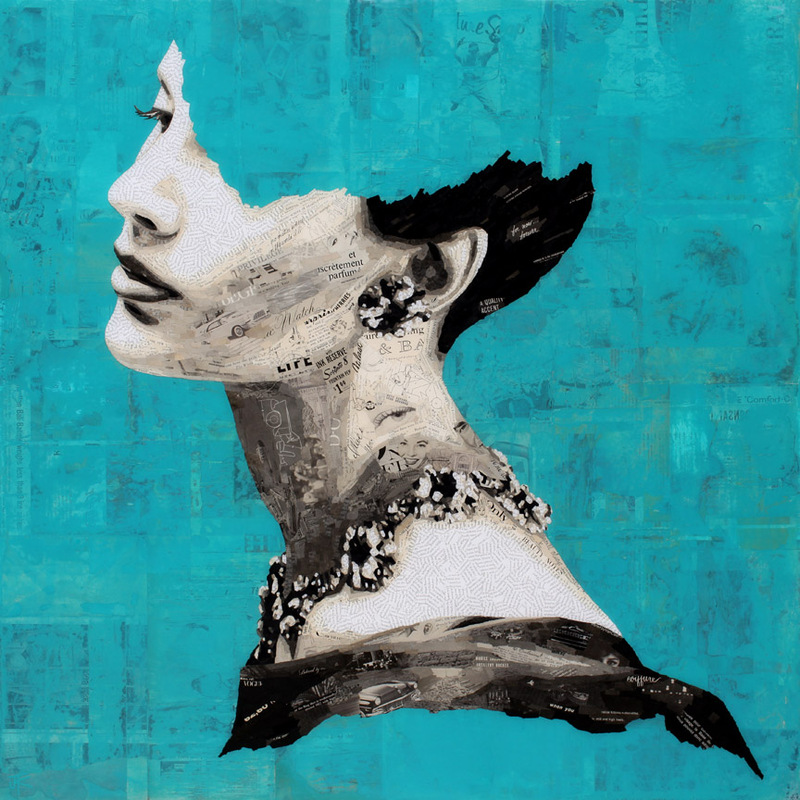 Santa Monica gallery Axiom Contemporary is returning to AAF NYC this year with a collection of new torn paper collages. Visit the fair website for more details on the show, running March 25-29. We are excited to feature a new collection of work at JGO Gallery in Park City, opening February 27, 2015. A preview of some of the work is below. Please visit the gallery website for more details. We hope you can join us for the LA Art Show this weekend. New work will be featured at Axiom Contemporary's booth - more details on the show website. The Golden Age collage and resin on panel, 48" x 60"